This is the ultimate list of visa free countries for backpackers, travellers, digital nomads and remote workers. I’ve created this list because we know how frustrating visa research can be. You’ve chosen the perfect travel destination and started to plan and prepare for an epic trip. But, in many places in the world, you can’t just show up and expect to be allowed to enter. There are visa free countries, visa on arrival countries, and some places you need to apply for your entrance visa beforehand. Having to pay for pricey visas can really add up when travelling — visiting visa free countries will really help the budget, but also makes it much easier to plan for a trip. In this article, I’m going to list the 50 best visa free countries for American, Canadian, Australian, and UK citizens, broken down by regions of the world. Why am I focusing on visa free countries for those nationalities? Because those are the top 4 audiences on this website. In many instances, if the above 4 nationalities are granted visa free entrance, citizens of New Zealand, the EU and sometimes South Africa typically are as well. 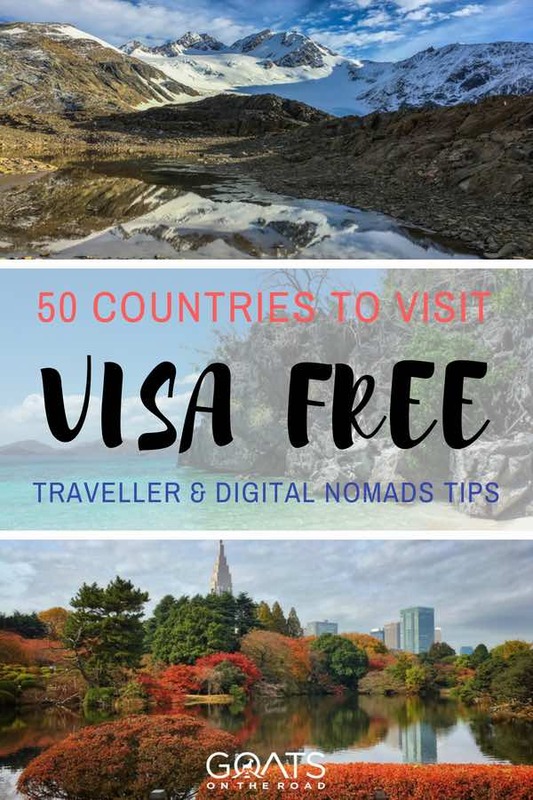 This article is for the travellers out there who want to know all of the visa free countries around the world, but also for remote workers and digital nomads like us who are constantly on the look out for easy places to set up shop for a little while. If a country offers visa free travel, in many cases they also allow for easy extensions, meaning that location independent workers can often keep extending their stay for a long time. *Note: visa situations are constantly changing. Before you purchase that flight ticket, make sure you contact the embassy of the destination you’re visiting and find out the current visa requirements. 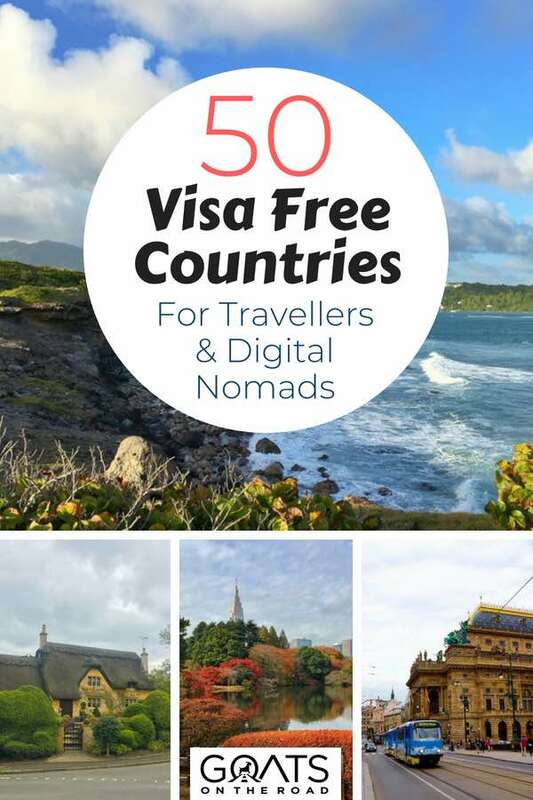 Here’s a list of the top 50 visa free countries for travellers and digital nomads. Happy travels! 8 Start Planning a Trip! 9 Like This Article? Pin it! According to the UNWTO, last year Europe was the top visited region in the world, with 671 million people travelling to the continent. Europe is an incredible destination with numerous highlights for travellers, and necessary amenities for Digital Nomads. Whether you’re interested in nature, culture, cuisine or history, there’s a country in Europe for you. The only issue for American, Canadian and Australian citizens when travelling in parts of Europe is that we must abide by the rules of the Schengen Area – which includes 26 European nations. Holders of these 3 passports are only allowed to stay visa free for up to 90 days within the entire Schengen Area, within a 180 day period. UK passport holders can live, travel and work in the Schengen Zone as long as they want. It may sound great to be able to enter all of the countries in the Schengen Zone without having to procure a visa beforehand, but it’s actually not a great to place to travel long-term because it’s difficult to travel to 26 countries in just 3 months! There are currently 4 countries – Bulgaria, Cyprus, Croatia and Romania – that are legally obliged to join the Schengen Area, but they haven’t as of the time of writing this post (so, get there while you can). This country is at the crossroads between Asia and Europe, but I’m adding it under “Europe” because it has a European feel and was part of our Europe trip. In terms of entry requirements, Georgia is at the top of the list of the best visa free countries. Australian, Canadian, American and British passport holders can stay in Georgia visa free for a year. That’s right, you have 365 days to immerse yourself in the charming city of Tbilisi, explore the numerous mountains, take a dip in one of the many pristine lakes, and dine on some tasty food and wine. Many digital nomads choose to base themselves in Tbilisi for part of the year, leaving when the cooler winter weather arrives. ☞ Georgia entry requirements: Australian, Canadian, American and UK citizens can stay visa free for up to 365 days. You must have 1 blank page in your passport and it must be valid for 6 months beyond your intended stay in Georgia. This is another top choice when it comes to visa free countries in Europe. With historical cities, friendly people, pristine mountains, affordable travel and breathtaking coastal regions, Bulgaria seems to have it all. Don’t miss the fun things to do in Plovdiv, the capital of Sofia, the seaside area of Varna and of course, the mountains around Bansko. ☞ Bulgaria entry requirements: Australian, Canadian, American and UK citizens do not need a visa to enter into Bulgaria, and can stay 90 days, within a 180 day period. A passport that is valid for 3 months after entry is required. If you’re looking for one of the best coastal visa free countries, which also has numerous historical sites and incredible nature and amenities that travellers want, then consider Croatia. Split is a good place to base yourself for a while, which is exactly what we did. Dubrovnik is the stunning real life Game Of Thrones set, Plitvice Lakes are a natural wonder, and the islands offshore are perfect for a sailing getaway. Croatia offers excellent value for money. ☞ Croatia entry requirements: Australian, Canadian, American and UK citizens do not need a visa to enter into Croatia, and can stay up to 90 days, within a 180 day period. You must register with local police within 24 hours of arriving, however, if you’re staying at a hotel, they will do this for you. You must also have 3 months validity on your passport from the time you plan to leave Croatia, or you will be denied entry. Another easy country to travel in for 3 months. 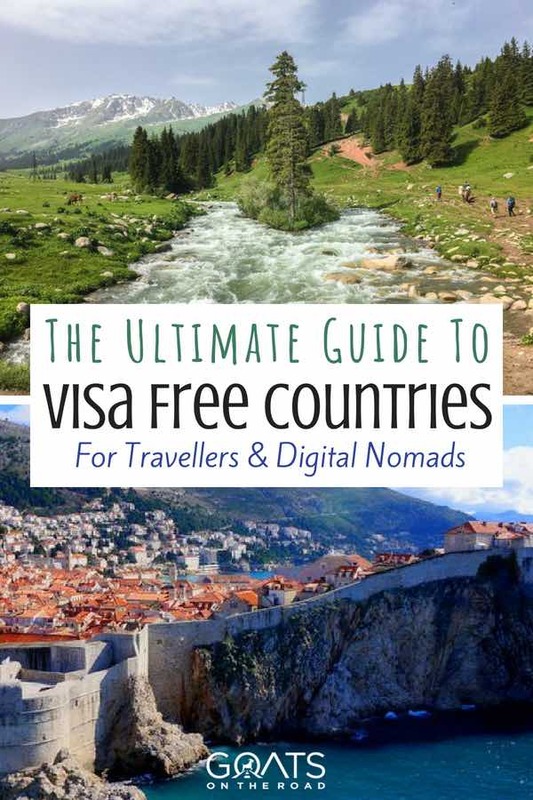 Romania is another one of the visa free countries that not many people talk about. With medieval, mountainous towns like Brașov and Bran, the bustling city of Bucharest, unique folk culture, stunning nature and tasty food, Romania should definitely be on your European travel itinerary. Not to mention, it has blazing fast wi-fi for us digital nomads and it’s a very affordable place to visit. ☞ Romania entry requirements: Australian, Canadian, American and UK citizens do not need a visa to enter into Romania, and can stay up to 90 days, within a 180 day period. Romania does not require you to have 3 months validity on your passport after you leave the country. It only requires your passport to be valid during your stay. However, if you’re boarding a plane in a Schengen Area country, they may deny you boarding if you don’t have 3 or more months left on your passport. Another country that is often overlooked by travellers, Serbia has a lot to offer! 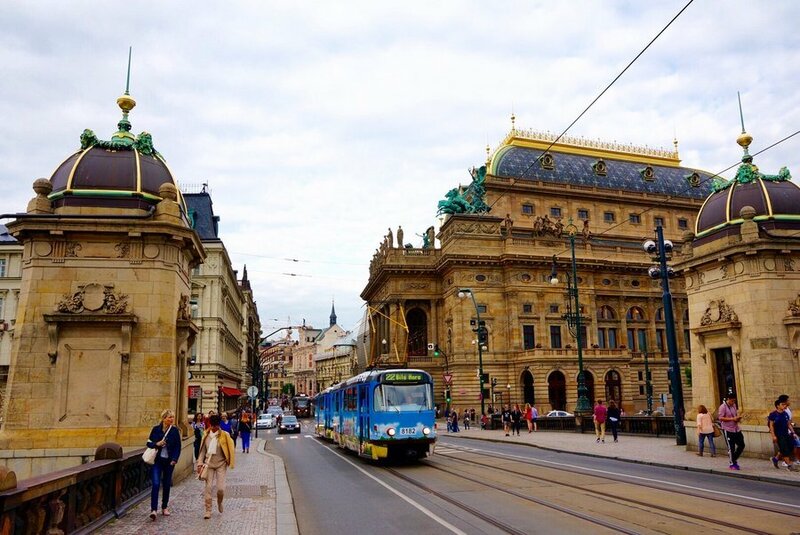 This visa free country likes to get wild and is home to all night parties and famous festivals, especially in the cities of Belgrade and Novi Sad. But, it’s not just about the all-nighters in Serbia. The people are warm and welcoming, the nature and national parks are beautiful, and the churches, fortresses and monasteries are not to be missed. If you’re on the search for visa free countries with an incredible history, look no further than Serbia. ☞ Serbia entry requirements: Australian, Canadian, American and UK citizens do not need a visa to enter into Serbia, and can stay up to 90 days, within a 180 day period. 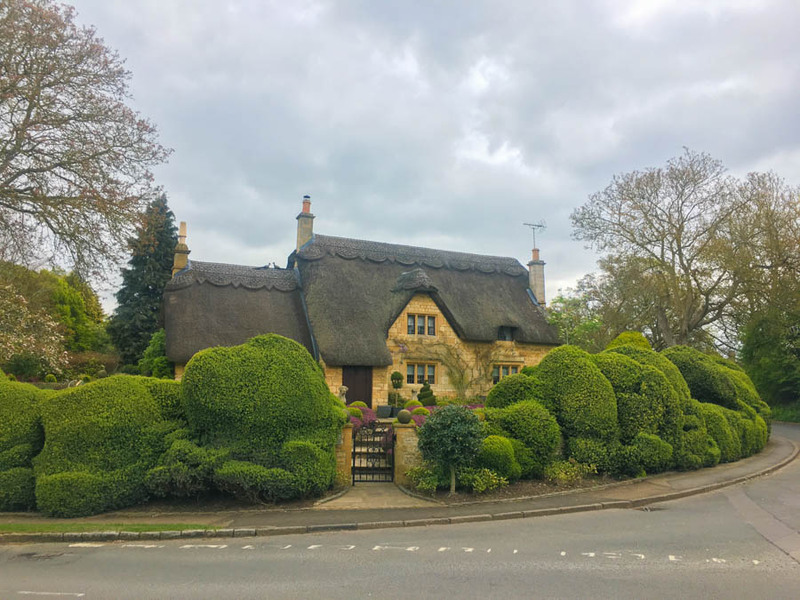 These English-speaking visa free countries are easy to get around independently and offer visitors an incredible amount of history and architecture (castles!). The pub culture is always fun, the pints of beer are varied and tasty and British food is actually quite good. The people of The UK and Ireland are warm and welcoming and have a great sense of humour – you’re sure to have a good time here. ☞ United Kingdom entry requirements: Australian, Canadian and American citizens can visit visa free for 6 months. ☞ Republic of Ireland entry requirements: Australian, Canadian and American citizens can enter visa free for 90 days. UK citizens have the right to free movement. Australian, Canadian, UK and American citizens can stay visa free for 90 days, within a 180 day period. Australian, Canadian and UK citizens can stay visa free for 90 days, within a 180 day period. Americans can stay visa free for up to 1 year. Australian, Canadian, UK and American citizens can stay visa free for 90 days, within a 180 day period. Note that you may be required to provide documentation stating the purpose of your trip. Australian, Canadian, UK and American citizens can stay visa free for 90 days, within a 180 day period. You will need to show proof of sufficient funds for your stay, proof of onward travel and 6 months validity left in your passport. Canadian, UK and American citizens can stay visa free for 90 days, within a 180 day period. Australians must obtain a visa on arrival and can only stay 15 days. Asia / the Pacific was the second most travelled part of the world in 2017, with over 300 million visitors. Asia is the largest continent on our planet and as you can imagine, it’s a very diverse place in terms of landscapes, religion and culture. From the off-track, nomadic Central Asian countries to the ancient history and culture of Northern Asia, and the beaches and jungles of the South, this is one exiting region of the world. You could spend years travelling in Asia and not see it all. Here are the top visa free countries in Asia to put down some temporary roots, or travel around. The popular tourist trail that runs through Southeast Asia often doesn’t include the Philippines – which is a good thing for you! 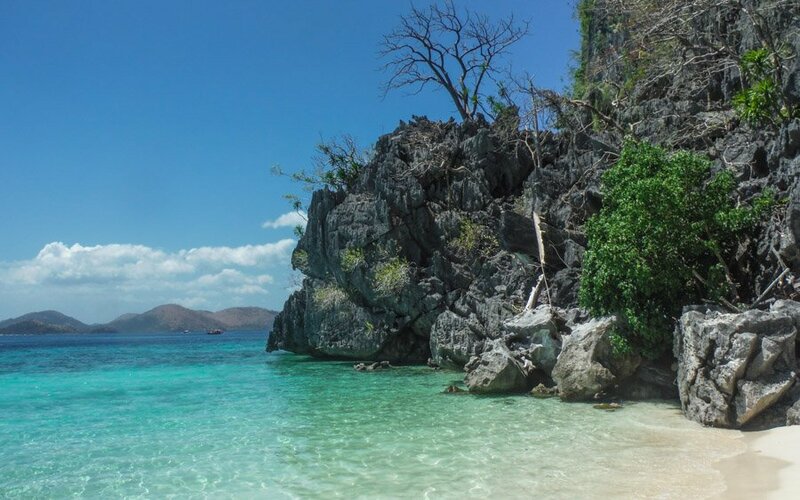 The Philippines has a lot to offer travellers, in fact, there are over 7,000 islands that make up the archipelago. If you’re into scuba diving, fishing, boating, snorkelling, swimming or any other water activities, this is the country for you. The Philippines beaches are incredible. Plus, you’ll also find some busy cities, dramatic natural landscapes and incredibly friendly locals. ☞ Philippines entry requirements: American, Canadian, Australian and UK passport holders can stay visa free for 30 days. However, visa exempt foreign nationals can extend their stay monthly, but not exceeding the maximum period of two years. So, you can stay in the Philippines for 2 years, but you must extend your visa every month (I’ve heard there’s an option to apply for 6 months). After 2 years, you need to leave the country, but you can return. This is truly a gem in Southeast Asia, and again, it’s often overlooked by travellers. In this multi-cultural country, you’ll find efficient transport, delicious cuisine, stunning beaches, numerous islands, a pristine underwater world, endless hiking opportunities, and a cosmopolitan vibe in the capital of Kuala Lumpur. Don’t miss Malaysia. ☞ Malaysia entry requirements: American, Canadian, Australian and UK passport holders can stay visa free in Malaysia for up to 90 days. Three months not enough time in Malaysia? You can do a border run to Thailand or Singapore, spend a night, an re-enter into Malaysia. Typically you’ll be granted with another 90 days, but it really depends on the immigration officer’s mood. Make sure you check your passport to see how long you’ve been given. Although this country isn’t the most budget friendly, it’s a must-visit. With world-renowned cuisine, unique culture and customs, bustling cities (you’ll never be stuck wondering what to do in Tokyo!) and beautiful nature, Japan is one of the top visa free destinations for travellers. 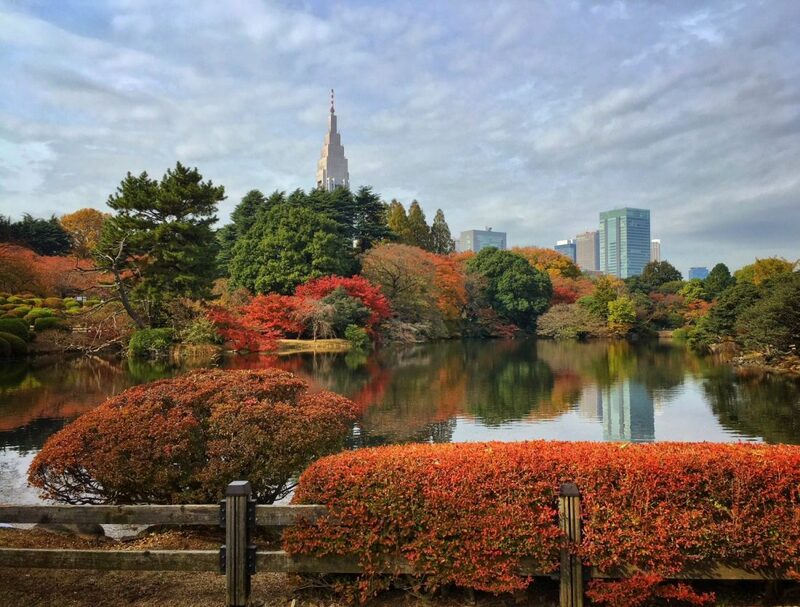 If you time your visit right, you can experience the cherry blossoms or the brilliant autumn colours. ☞ Japan entry requirements: American, Canadian and Australian passport holders can visit Japan visa free for 90 days. UK passport holders are granted 90 days, plus, the option to extend for another 90 days in-country. You might also be asked to show proof of onward travel. Another pricey destination in Asia, with many budget travellers just spending a couple of nights here and moving on. But, there’s a lot to do in little Singapore! If you’ve been travelling around Southeast Asia for a while, you’ll be grateful for a change in pace. In Singapore you’ll find a cosmopolitan feel, international cuisine and rooftop bars. Chinatown, Little India, Sentosa Island and the parks and reservoirs should also be on your list of places to visit in Singapore. ☞ Singapore entry requirements: Canadian passport holders are allowed 30 days visa free in the country, while American, Australian and UK citizens are able to stay for 90 days visa free. You’ll also need to show proof of sufficient funds to travel in Singapore, proof of onward travel and have 6 months left on your passport from the date you leave Singapore. To date, this is still one of the most interesting travel destinations we’ve been to. 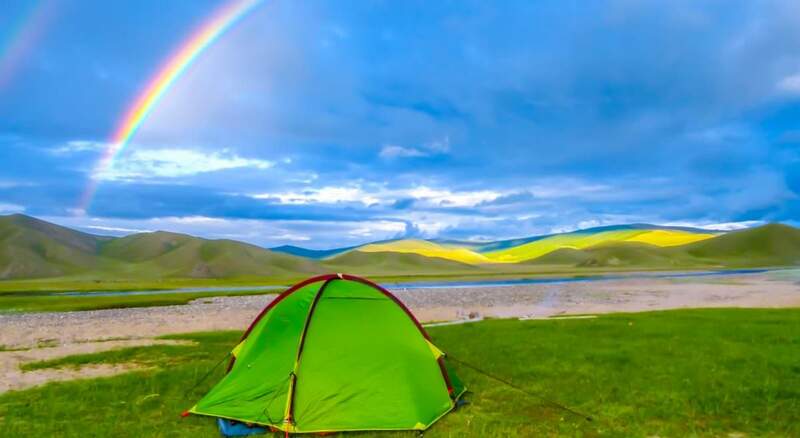 Wild and virtually untouched by westernization, Mongolia is a place where you can camp out on the steppe under the stars, go trekking in the mountains, meet reindeer herders, sleep in a ger (yurt) and experience an exciting and fascinatingly unique culture. Traveling Mongolia is an experience you’ll never forget. ☞ Mongolia entry requirements: American passport holders are granted 90 days visa free. If you plan to stay longer than 30 days, you must register with the Mongolia Immigration Agency in Ulaanbaatar within the first week. Canadians are granted 30 days visa free in Mongolia, while UK and Australian citizens must apply for a visa beforehand. Many people decide to teach English in South Korea, which is one of the best travel jobs that we can think of (aside from travel blogging of course). But for those of you who aren’t interested in working abroad, South Korea has a lot to offer travellers (but keep in mind, travel to this country at the midrange level can cost more than Japan). South Korea is a country of contrasts, it’ll have you partying one night in the buzzing cities, and cycling through quiet villages the next. Spend the day hiking in South Korea, followed by a dip in one of the hot springs. Oh, and also devour kimchi, lots of kimchi. There are numerous places to visit in Seoul to keep you busy for days. ☞ South Korea entry requirements: Canadians are the only country allowed to stay in South Korea visa free for 180 days. Australian, UK and American citizens are grated 90 days. This beautiful destination is for those interested in outdoors and culture. Cycle, hike and road trip your way through the mountains, volcanoes or alongside the Pacific Ocean. When you’ve had enough exercise, head back to the cities – Taipei in particular – and enjoy the vibes. Grab some Chinese food and a craft beer and get to know the friendly locals. ☞ Taiwan entry requirements: Canadian, American, Australian and UK citizens are granted 90 days visa free in Taiwan. People from Canada and the UK may extend their stay up to 180 days. Passports must be valid for at least 6 months, except for American passport holders who only need to have a valid passport for the duration of their stay. Click here for more. Nomadic culture, rugged landscapes, traditional sports, welcoming people and natural beauty, Kyrgyzstan is one of the easiest of the “Stan” countries to visit. Travelling Kyrgyzstan is a trip you’ll never forget. 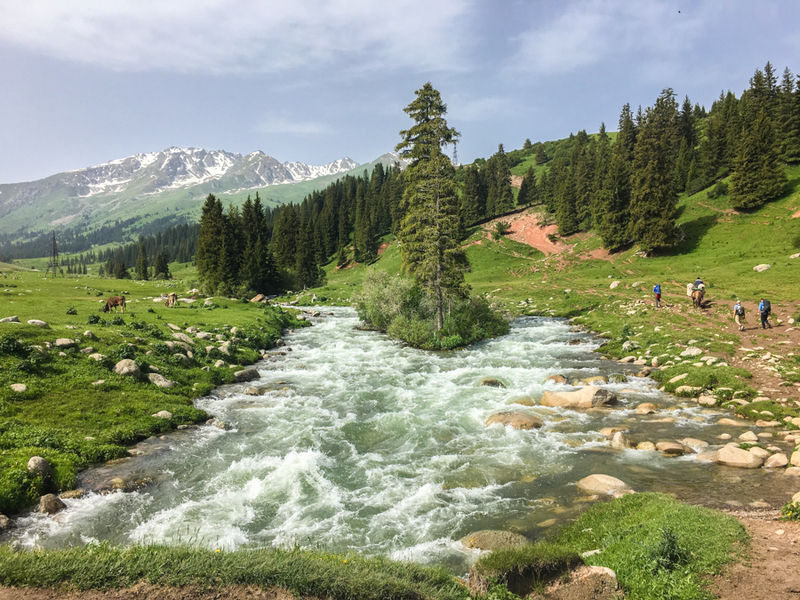 Don’t miss Karakol and Lake Issyk-Kul, hiking the Keskenkija Trail, Ala Kul, Song Kul, the capital of Bishkek, and so much more. ☞ Kyrgyzstan entry requirements: Canadian, American, Australian and UK citizens are granted 60 days visa free. Another “Stan” country that should be on your list. Frustratingly for the amazing Kazakh people, Kazakhstan was originally known for being the home of Borat, but trust me, it’s so much more than that. Don’t miss the cosmopolitan skyscraper city of Astana, the parks and lakes of Almaty, the Tian Shan Mountains and of course, the villages. ☞ Kazakhstan entry requirements: Canadian, American, Australian and UK citizens are granted 30 days visa free. There are numerous Digital Nomads and location independent entrepreneurs in Thailand (Chiang Mai), Indonesia (Canggu Bali and Ubud) and Vietnam (Hoi An, Ho Chi Minh and Danang). For travellers, these are amazing destinations to visit as well. However, the length of the visa free entry isn’t great, and the options to extend are a bit annoying as well. American, UK, Canadian and Australian citizens are granted 30 days on arrival by air, 14 days by land. You can extend your stay for a further 30 days in-country, before having to leave. If you re-enter by air, there’s theoretically no limit to the amount of times you can do this, however, if you’re crossing by land or sea, you can only do a border run twice in a year. American, UK, Canadian and Australian citizens are granted 30 days on arrival. If you plan to extend your visa to 60 days, you must pay for the visa at the airport, do not take the free visa on arrival. If you opt for the free visa, you don’t have the option to extend. After 60 days, you must leave the country, before returning if you choose to. 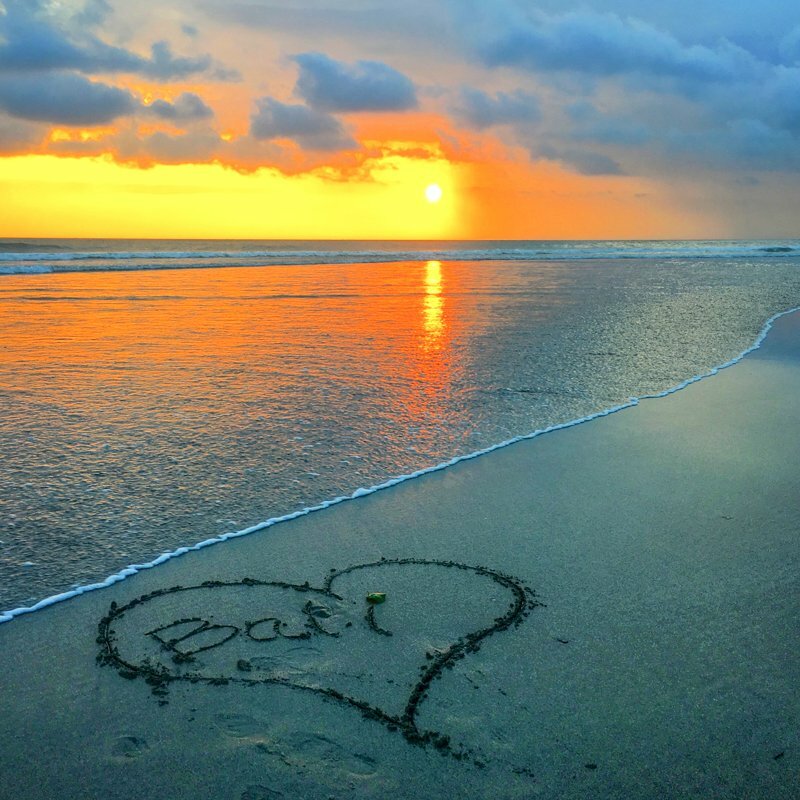 We lived in Canggu Bali and paid for our visa on arrival so that we were allowed to extend it. After a couple of weeks, we extended our visas in-country for a further 30 days (total of 60 days). Once that 60 days was up, we did a border run on a return flight to Malaysia and were granted 30 days on arrival when we returned to Indonesia. Citizens of the UK are granted 15 days visa free on arrival. You must then leave for 30 days before returning for another 15 days. Citizens of Canada, Australia, the United States and the United Kingdom are eligible to visit Phu Quoc island visa free for 30 days. You must arrive directly to the island. Other than that, you must obtain a visa beforehand. This little country on the island of Borneo allows citizens of the UK and the United States visa free entry for 90 days, while Canadians are granted 14 days. Australians must pay B$20 ($14.75) on arrival, however if you are transiting through at the airport, you don’t need a visa. We visited South America for the first time in 2017 and we’re certain that we’ll be back. This is an adventurers playground with camping, fishing, trekking and off track places at your fingertips. Each country has its own culture, cuisine and customs, and are all worthy of a visit. Definitely a top choice for visa free countries in South America. Even if it wasn’t visa free, it’s still an amazing destination to visit. 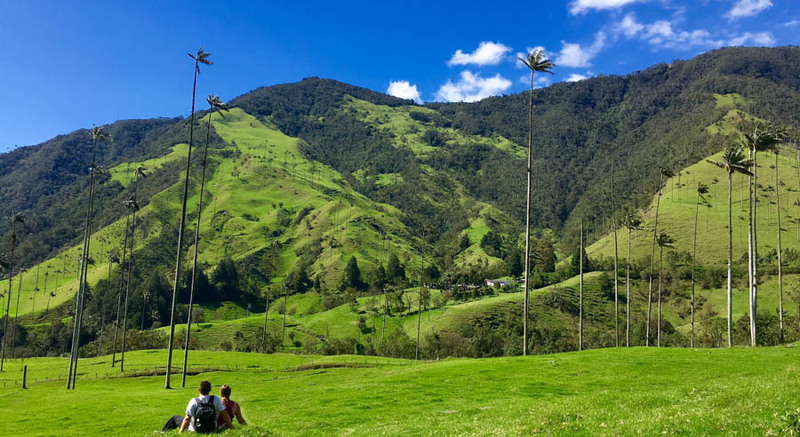 Hike to ancient ruins in the jungle (the Ciudad Perdida), scuba dive in crystal clear water, wander through pretty villages, learn about coffee production and create lifelong friendships with the locals. Many Digital Nomads choose to base themselves in Medellin, which offers loads of amenities. There are so many things to do in Colombia, you’ll never be bored. ☞ Colombia entry requirements: American, Australian, Canadian and UK citizens can stay in Colombia visa free for 90 days. Canadians, however, must pay a 190,000 peso ($65USD) reciprocity fee upon entering the country. Straddling the equator, this country offers travellers a very diverse trip. From the Andes mountains to the Amazon jungle and the impressive wildlife of the Galápagos Islands, there’s something for everyone in Ecuador. In fact, Ecuador is actually a top destination among foreign retirees and Digital Nomads. ☞ Ecuador entry requirements: Canadian, American, Australian and UK citizens are granted 90 days visa free. If you plan on visiting the Galápagos Islands, you must obtain a transit control card at the airport. ☞ Peru entry requirements: Canadian, American, Australian and UK citizens are granted 183 days visa free. Probably the most expensive country to travel around (and live) in South America…but, it’s worth every peso! Argentina is an incredibly diverse country. Here you can visit glaciers, lakes, waterfalls, wineries, cities, salt flats and much more. Dine on rib eye steaks, sip malbec wine and dance the night away at a milonga. Just be prepared to eat dinner late – around 10:00pm at the very earliest. We lived in Buenos Aires for a month, and had mixed feelings about it. But, we fully enjoyed our travels around the rest of Argentina and highly recommend this country. It’s definitely one of the best places to visit in January, or any time of the year. ☞ Argentina entry requirements: Canadian, American, Australian and UK citizens are granted 90 days visa free. The reciprocity fee for Canadians has been removed. Another adventure-lover’s dream destination. 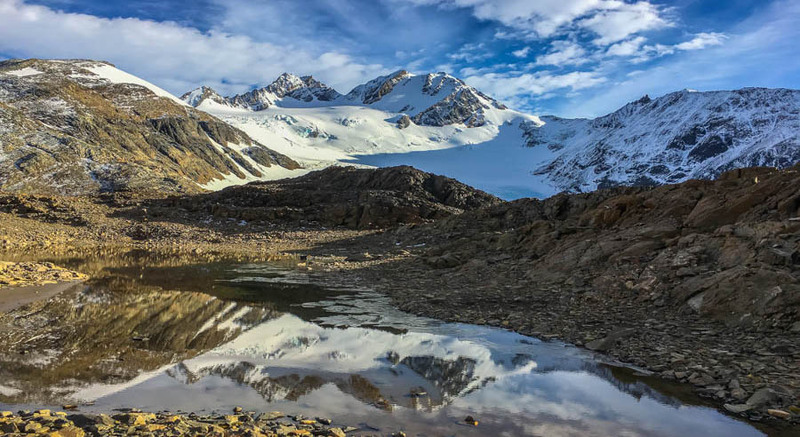 Go trekking in the pristine Torres del Paine National Park, drive through the Atacama Desert, dance the night away in Santiago, hike volcanoes and chill out in the Lake District, spend some time in edgy Valparaiso and gawk at the bizarre head sculptures on Easter Island. We spent 2 weeks living in Valparaiso in an Airbnb and liked the bohemian vibe there. Santiago is more modern and clean-shaven. ☞ Chile entry requirements: Canadian, American, Australian and UK citizens are granted 90 days visa free. However, Australian citizens must pay a $117 fee if arriving by air at the Santiago airport. Brazil – Citizens of the UK are granted 90 days visa free. Canadians, Australians and Americans must apply for an e-visa online and pay around $45. Canada, UK and Australian citizens are granted 90 days visa free. 30 days initially, with 60 days extension allowed. Americans must obtain a visa beforehand, have a hotel booking or letter of invitation, proof of sufficient funds and pay a $160 fee. The good news is that the multiple entry visa is valid for 10 years. If you want to spend some time in tropical countries, this region is a good bet (outside of hurricane season, June – November). This part of the world is home to Spanish, English, Dutch and French, speaking countries (plus other native languages), each with its own defining culture. The landscapes include turquoise coloured seas, powdery-white sand beaches, swaying palm trees, lush jungles, untouched rain forests and towering volcanoes. There are many visa free countries in this region of the world. I’ll just list a few of the countries which are good options for both travellers and remote workers. This is one of the most exciting travel destinations and one of our favourite places to live and travel. There are many places to visit in Mexico and luckily, you’ll be allowed to stay a while to explore many of them. 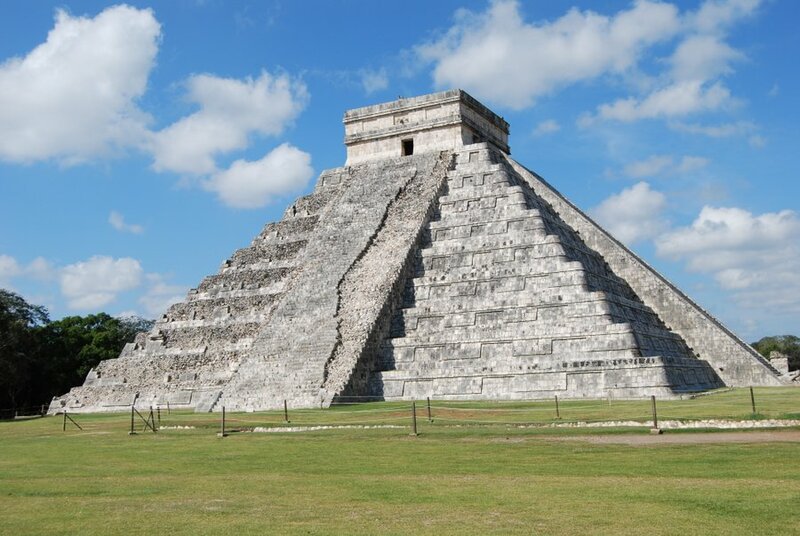 The Mayan history and Spanish architecture is incredible, the people are warm and welcoming, the food is to die for, and the beaches and nature are pristine. Playa del Carmen, Puerto Vallarta and Oaxaca City are hotspots for digital nomads, while the entire country is a traveller’s dream. Don’t miss Mexico. ☞ Mexico entry requirements: Australian, Canadian, UK and American citizens are granted 180 days visa free in Mexico. It’s recommended that your passport is valid for 6 months from the date of departure. Best known for its eco-friendly policies, wildlife, rainforests, beaches and lack of military, Costa Rica is a hotspot for surfers, travellers, retirees and remote workers. It’s a bit more expensive than some other places in Central America, but in some cases you get what you pay for. It’s also one of the best places to visit in January due to the weather and wildlife. ☞ Costa Rica entry requirements: Canadian, American, Australian and UK citizens can stay 90 days visa free. If you want to extend this visa a further 90 days, you can do so by going on a border run to a neighbouring country, and returning. You’ll need proof of onward travel out of Costa Rica, a valid passport, proof of $300 in your bank and around $100 cash for fees. Click here to learn more. Mayan ruins, Caribbean Sea and lush rainforest, Honduras epitomizes a tropical getaway. This is a popular destination for scuba divers wanting to explore the world’s second largest reef, and adventurous travellers looking to venture deep into the jungle. It’s also a popular spot to stay put for a while with many great accommodation options for longer stays. ☞ Honduras entry requirements: Canadian, American, Australian and UK citizens can stay 90 days visa free. You must have a passport that’s valid for 3 months from the time you leave Honduras. If you want to extend your visa, you’ll need to do a border run to either Costa Rica, Belize, or further afield. It’s best to leave the CA-4 countries (Honduras, El Salvador, Nicaragua & Guatemala) for your border run to ensure you get another 90 days on entry. Click here to learn more. One of the best options for those looking to spend more than a couple of months in the region. Panama offers pristine Caribbean seas on the east and pounding Pacific Ocean on the west. It’s a water-lovers paradise. Check out the amazing San Blas Islands (including sailing to Colombia), the cloud forests, cosmopolitan Panama City and more. ☞ Panama entry requirements: Canadian, American, Australian and UK citizens can stay visa free for up to 180 days. You must have a passport that is valid for 3 months. The culture, history and nature in Guatemala makes this country worth of a visit. Don’t miss the Spanish colonial town of Antigua (and the volcanoes), calming Lake Atitlan and the surrounding villages, the awe-inspiring ruins of Tikal and the natural beauty that is Semuc Champey. Based on our experience living on Lake Atitlan and travelling around Guatemala, the locals are very kind and welcoming to foreigners. ☞ Guatemala entry requirements: Canadian, American, Australian and UK citizens can stay visa free for up to 90 days. If you want to extend your visa, you’ll need to leave the CA-4 zone (Honduras, El Salvador, Nicaragua & Guatemala), meaning you could head to Mexico, Costa Rica or Belize. Or, you can hire a lawyer in country to complete this for you at a cost of 500 Quetzel ($67). You can extend two times for a total of 180 days, then you must leave the country to reset the clock. This English-speaking, coral island is the easternmost in the Caribbean region. We spent a couple of months living in Barbados while house and pet sitting and found the people here to be very friendly. There’s a highway on the island, shopping malls and coffee shops. The beaches here are some of the best in the Caribbean. The people are friendly and the food is fantastic! Don’t miss the fish festival every Friday, checking out the caves, road tripping the east coast, attending a Q party and more. ☞ Barbados entry requirements: Canadian, American, Australian and UK citizens can stay visa free for up to 6 months. For such a small place, there are lots of things to do in Grenada. While the country doesn’t have a lot of amenities, and is more on the rustic side compared to other Caribbean islands, it’s an authentic, beautiful place. Sailing, scuba diving, hiking, liming, partying, swimming and more can all be enjoyed when travelling in Grenada. ☞ Grenada entry requirements: Citizens of the UK are granted 6 months visa free (although we’ve had firsthand reports of UK travellers only receiving 90 days), while Australians, Canadians and Americans are given 90 days. You can extend your visa for a further 90 days at immigration. You’ll need to show proof of onward travel, and pay a 75EC ($27.75) fee. With more than 700 islands and 2,400 cays, there are many places to explore in the Bahamas. 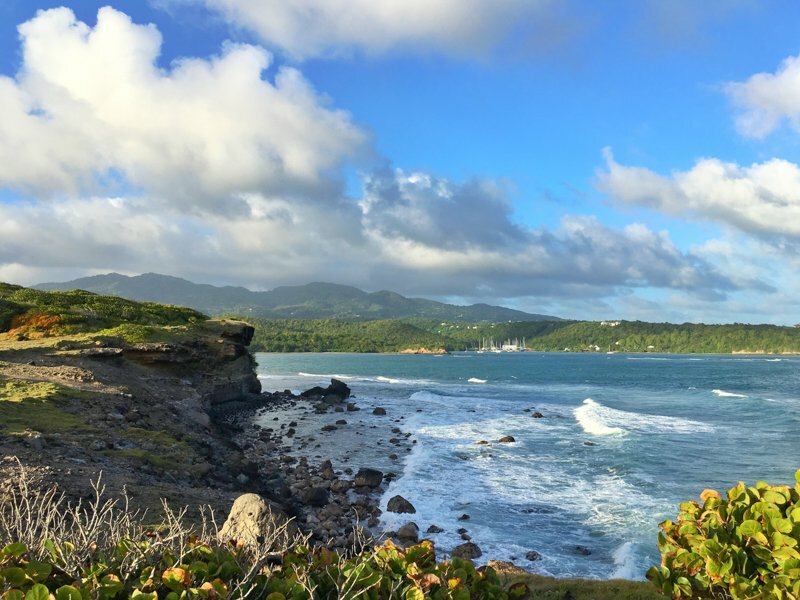 This is a hotspot for Americans and sailors and is worth adding to your travel itinerary if you plan to visit the States or the Caribbean. Enjoy the cities, historic towns, beaches and forests. ☞ Bahamas entry requirements: Canadian UK and American citizens are granted 8 months visa free in the Bahamas, while Australians get 3 months. You must have a passport that is valid for 6 months beyond your intended departure from the Bahamas. Click here to read more. Africa is a continent with a fascinating, yet turbulent history. If you plan to visit Africa, you’re going to want to give yourself a lot of time. Unless you’re joining a tour, travel here is intrepid, exciting and at times, trying. Explore the sand dunes, waterfalls and National Parks in the south, while witnessing wildlife in its natural habitat. Sail to some of the most pristine islands in Mozambique, check out South Africa and go on a road trip, or go trekking to spot Gorillas in Rwanda or Uganda. In the north, you’ll find French and Arab influences, together with unique architecture and towering mountains. The point is, Africa is a diverse and exciting place to travel, so give yourself some time and enjoy all that it has to offer. Many countries in Africa require a visa to visit, or you must pay for and obtain a visa on arrival. Below I’ll list the top visa free countries in Africa. Located at the very south of the continent, you’ll find South Africa. If you’re looking for a more westernized place to visit, with awesome adventures and pristine nature, then this is it! 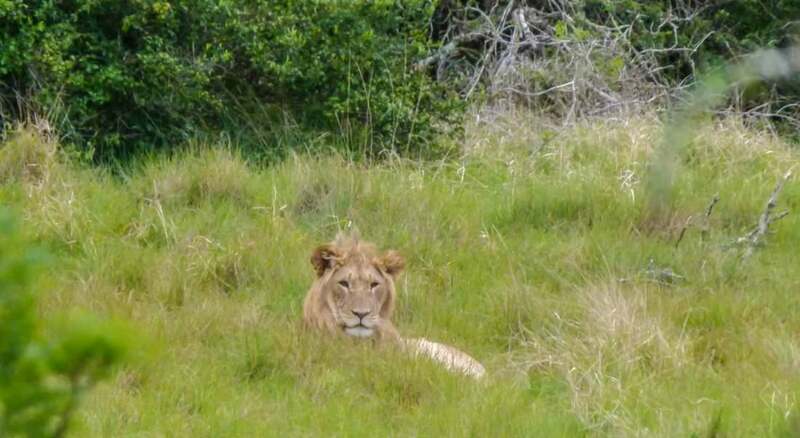 Don’t miss road tripping through the Garden Route, surfing competitions at J’Bay, going on safari in Addo National Park and Kruger National Park, learning about the history in Cape Town and mingling with the local people – from all backgrounds. South Africa was a highlight for us during our travels in Africa. ☞ South Africa entry requirements: Canadian, American, Australian and UK citizens can stay visa free for up to 90 days. Your passport must be valid for one month after departure, and have 1 blank page left in it. You can apply to extend your stay a further 90 days, but it must be done within the first 30 days. This country is the gateway to Africa from Europe, with many people from the UK and Spain easily crossing here by ferry. Labyrinth medinas, traditional clothing, ancient villages, towering mountains and delicious cuisine, this is Morocco. Highlights include Fez, Tangier, Tétouan, Chefchaouen and the Atlas Mountains. ☞ Morocco entry requirements: Canadian, American, Australian and UK citizens can stay visa free for up to 90 days. You passport must be valid for 6 months beyond your departure date. Another amazing destination if you’re looking to experience the wildlife and natural beauty of the continent. It’s possible to hire a vehicle here yourself and explore on your own terms, or, you can go with a tour. Don’t miss the Okavango Delta, Chobe National Park and the Moremi Game Reserve. ☞ Botswana entry requirements: Canadian, American, Australian and UK citizens can stay visa free for up to 90 days, over a 1 year period. You passport must be valid for 6 months beyond your departure date. This underrated destination in northern Africa, on the Mediterranean Sea is often overlooked by travellers. The history, ancient sites and natural beauty here are outstanding, while the food is tasty and the people are welcoming. ☞ Tunisia entry requirements: Canadian, American, Australian and UK citizens can stay visa free for up to 90 days. However, some reports state that Canadians can stay for 4 months. Contact the local embassy to find out. Your passport must be valid for 3 months from the date of departure from Tunisia. A trip to Namibia, combined with Botswana and South Africa makes for an amazing holiday. In Namibia, you’ll be blown away by the landscapes – from towering sand dunes and desolate deserts, to the crashing waves of the Atlantic and the wildlife park of Etosha, this is one country you don’t want to miss. ☞ Namibia entry requirements: Canadian, American, Australian and UK citizens can stay visa free for up to 90 days, within 1 year. Tucked away in the South Pacific is the adventurous, stunning region of Oceania. This area includes the likes of Australia, New Zealand, Fiji, Tahiti, the Cook Islands and more. A trip here will be filled with hospitable people and outdoor activities – from the mountains and volcanoes to the beaches and lakes. For such a small place, New Zealand packs a huge punch. Known for its adrenaline inducing activities and pristine nature, this is a place you’ll want to spend a while. Kiwis are friendly and welcoming to travellers. In the cities, you can find all the comforts of home, while on your doorstep are mountains and coastline waiting to be explored. ☞ New Zealand entry requirements: Canadian and American citizens can visit New Zealand visa free for 90 days. UK citizens are granted 6 months. Australian citizens can live and work in New Zealand without a visa. Visa extensions are possible, click here for more. *Note: entry to the Cook Islands is granted for 31 days, with extensions of 31 days possible for up to a total of 6 months. Slow down and enjoy being on tropical Fiji time! While above water is beautiful and has a lot to offer travellers, it’s really what’s below the sea that makes Fiji so special. There are over 1500 species of sea creatures here, and pristine reefs perfect for snorkelling and scuba diving. Try out a village homestay and enjoy the Fijian hospitality. ☞ Fiji entry requirements: Canadian, American, Australian and UK citizens can stay visa free in Fiji for 4 months. This is extendable in 2 month increments. You must have 6 months validity left on your passport when entering into Fiji. While this is a history and culture-filled part of the world, and an amazing region to travel to, I was only able to find one country that UK, United States, Canada and Australia passport holders could enter visa free. I did a considerable amount of research, but if I’m wrong, please leave a comment below. Considered the Holy Land by Jews, Christians and Muslims, there are numerous important religious cities and sites to visit here, especially within Jerusalem. Outside of that city, don’t miss the phenomenon that is the Dead Sea, the vibrant city of Tel Aviv and Masada National Park. Oh, and don’t miss the fantastic food! ☞ Israel entry requirements: Canadian, American, Australian and UK citizens can stay visa free in Israel for 3 months. You must have 6 months validity left on your visa from the date of your departure from the country. If there’s one thing that I took away from writing this article, it’s how fortunate Canadian, American, UK and Australian citizens are. While Canadians don’t have the top passports based on the Global Passport Power Rank, we’re not complaining! Our passports allow us to travel to numerous visa free countries around the world, and in many destinations we’re able to easily purchase a visa on arrival. If you hold a passport that doesn’t offer you so many visa free countries, consider checking each country’s government websites and see if you can find some places that will allow you to enter without a visa. I also find that Wikipedia Visa Policy Pages are usually (but not always) up-to-date and accurate. Don’t take your travel freedom for granted, get out there and explore the world, and don’t let a visa stop you from visiting places you really want to see. It’s often worth the extra planning. Online Spanish Classes – We’re Finally Learning a Second Language! Jordan in the Middle East is a visa free for US nationals. Not sure what type of research you did. It has Petra, one of the new seven wonders of the world. Americans receive a visa on arrival at the airport, for a cost of around $56. Which makes it not a “visa free country”, but a “visa on arrival country – for a fee”. This post is about countries that are visa free. Great and useful post! One small but important correction: holders of UK passports can travel, stay, live and work anywhere within the Schengen zone for as long as they want, no restrictions. Of course, all bets are off post-Brexit, but for now there’s no limit. Thanks for taking the time to read it! I’m glad you found the post useful Happy travels! Quick question for you – Do you know any reliable resources that have visa info for passport holders of other countries (other than searching the government/wikipedia visa pages one by one)? I’m American and my wife is Colombian. Next year, we’d like to go on a 6-month-ish backpacking trip (starting in SE asia), but it’s been kind of a headache trying to figure out the visa situation for her. Any advice would be greatly appreciated! Keep up the great work! I would still check with the individual embassies just to make sure. Happy travels! These will give us a solid base to work off of. If I happen to stumble upon any other good resources, I’ll be sure to let you know! This was a great read! And the post is really informative and useful. Awesome work. Thanks very much. Glad you found it useful! I read this post several weeks ago when I was planning out some of my next destinations, but just came across it again during some Googling and I’m just as impressed! I can only imagine this took a ton of work — thanks for putting in the time to write up all these details. Seriously helpful!!! Thank you for the feedback Kristen Happy travels! I’m interested to get part of your visa in order to get a chance of travelling over the world and enrich my knowledge to bring change to me and over the global world. Bahrain is free visa also. Thank you for your comment. However, I’ve just checked the US Embassy website which states that Americans can stay for 365 days visa free, and so does Wikipedia Please let me know where you’re getting your info so I can check it out and make changes if needed. Thank you! I am from Ghana I want to visit Poland and Ireland for a tour 21 working days please is it a Visa free in Cities in West Africa – Ghana. And which Country are Visa free for us. The cost of a Colombian tourist stamp (it’s not a visa) for Canadians has gone up now to 210,000 pesos and for any foreigner it is a max 180 days HOWEVER the max you get at entry is 90 days. You can apply to extend it only, it costs 90,000 pesos to extend. The clock resets on the start of the next calendar year.